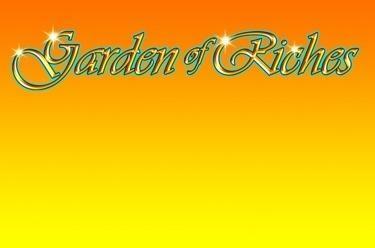 Play Garden of Riches online for free now! Let our elegant couple take you into a world of the rich and the beautiful in Garden of Riches - a magnificent garden where golden roses blossom, gems shimmer and the eternal sunshine accompanies you in this 10 line slot. You are set to land an incredible win as soon as you hit the jackpot! Land 5 identical symbols along a win line to get the best winning combination! Every winning combination begins on the first reel to the left and runs along a win line to the right. The matching symbols in a winning combination must lie side by side without any other symbols between them. Our Lady will complete your winning combinations as the Scatter symbol. Land 3 or more Scatter symbols to trigger 10 Free Spins or land 15 Scatter symbols to crack the jackpot! 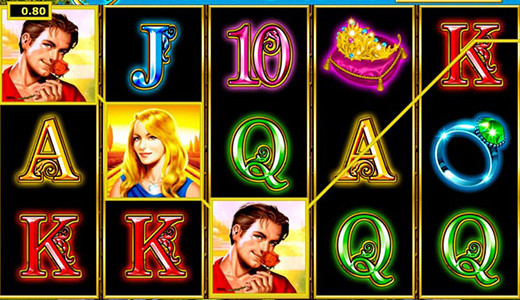 Land 3, 4 or 5 Scatter symbols (Lady) in any position and win 10 Free Games. You will play with the settings of your last regular round. All scatter symbols will retain their positions on the reels during the Free Spins and are able to compliment any winning combinations you land. Land 15 Lady symbols on the reels to hit the jackpot! You cannot trigger any more Free Spins during the current Free Spin. As soon as your 10 Free Spins have run out, you will be returned to the normal game.